Portfolio About Contact ShopVisit my RedBubble shop for clothing, iPhone cases, cards, posters and more. BlogVisit my blog for my latest work, and news about current or future projects. No personally identifiable information is stored in these cookies; they are simply used to enhance the useability of this site (for example, a cookie will be set which ensures you won't see this message again). For more information about cookies, and how to control their usage, please go to AboutCookies.org. 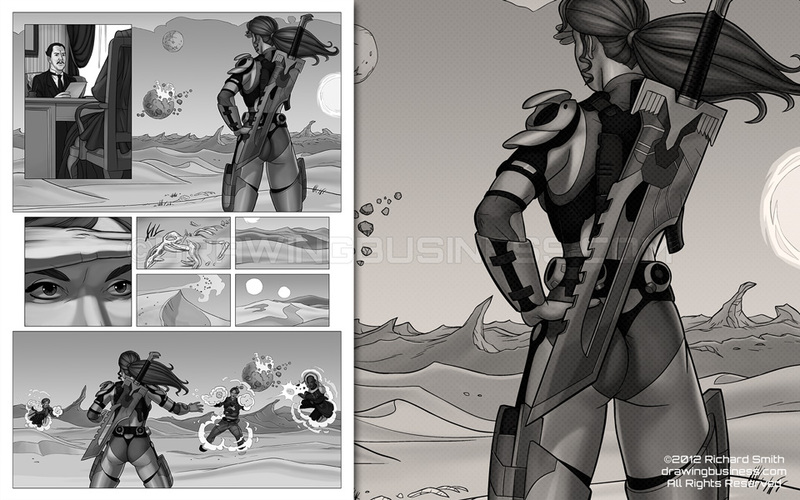 This portfolio contains a limited selection of my work. To see a more complete selection, please contact me for a guest account. 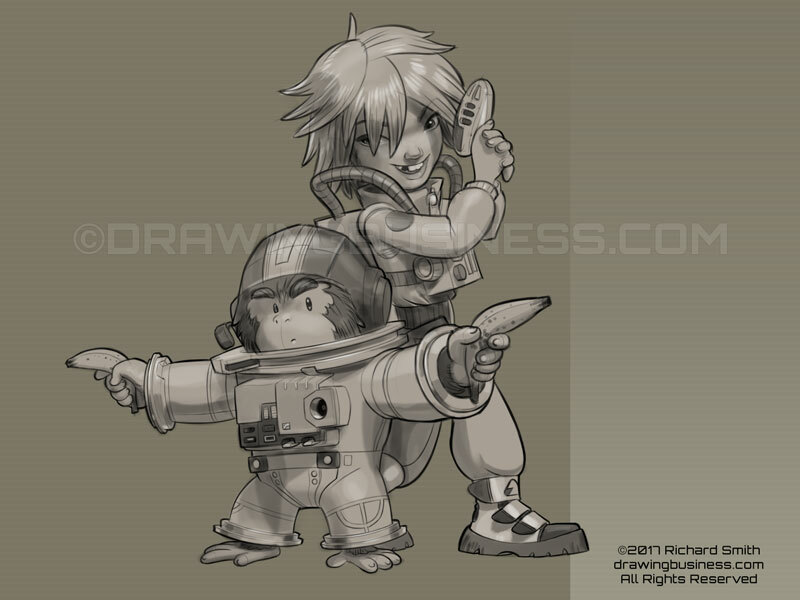 I was very fond of these characters when I designed them for a game that got cancelled, so I thought I'd revisit them in this quick sketch: Space-mad Ryan and his imaginary friend Chop-Chop. 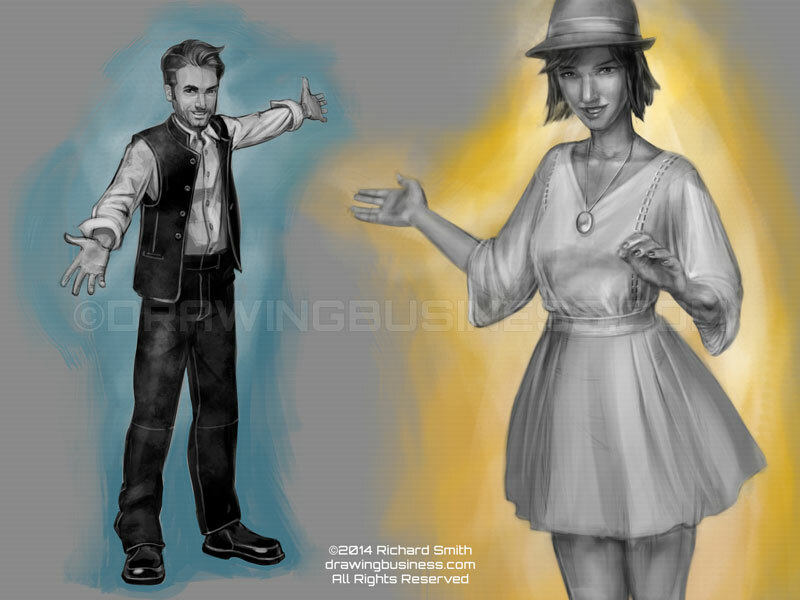 Character concepts for Crazy Taxi™ City Rush, by Hardlight Studio. The intent was to show how much variation could be created using the same basic body model, with different head, hands, feet and textures. Quick sketch ideas for a market stall owner. The brief was for a German character, and I didn't want to go with rather stereotypical lederhosen or dirndl. 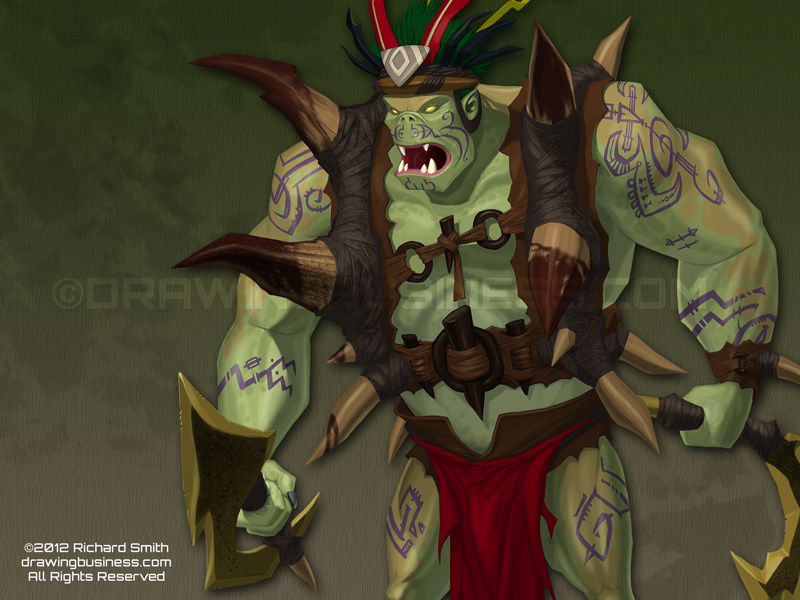 A design for a fearsome forest orc, working to a strict style guide that defined the proportions and physiognomy of the characters. 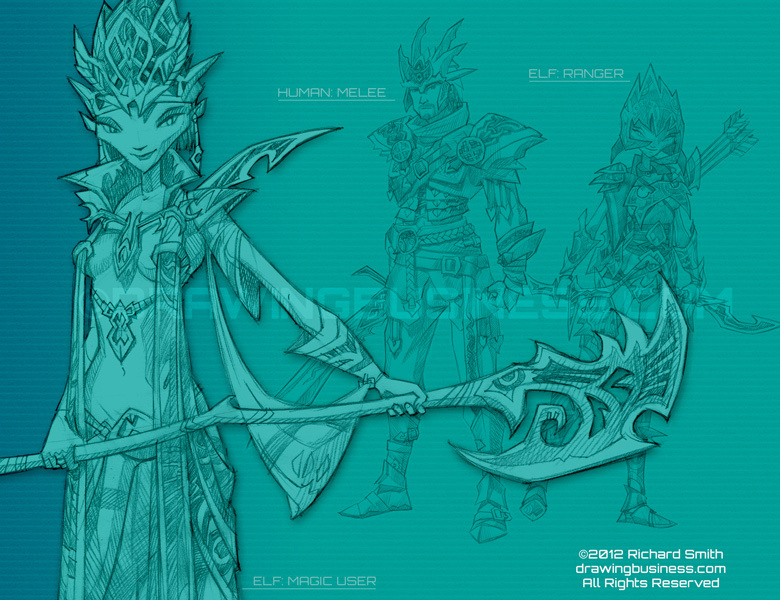 For a cancelled NCsoft MMORPG title. Designs for a selection of human and elvish characters, working to a strict style guide that defined the proportions and physiognomy of the characters. For a cancelled NCsoft MMORPG title. 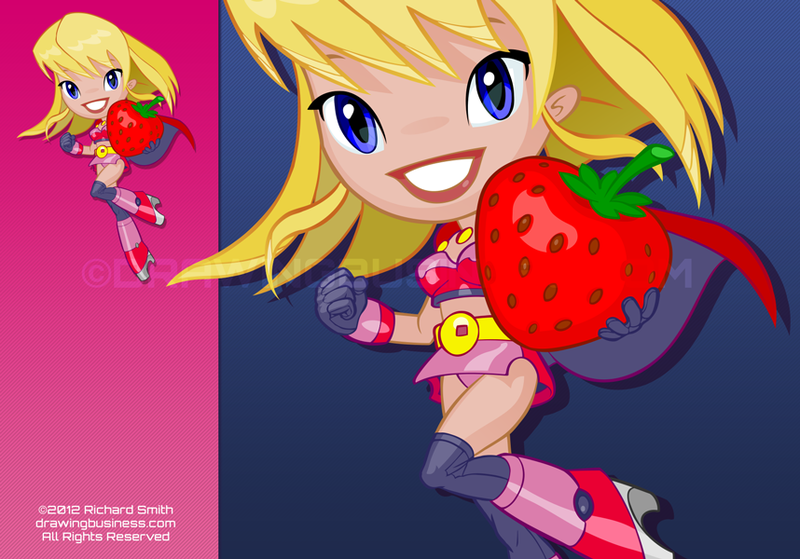 Strawberry Blonde, created for a mobile phone game called Rocket Girl vs The Robots, by bitBull. 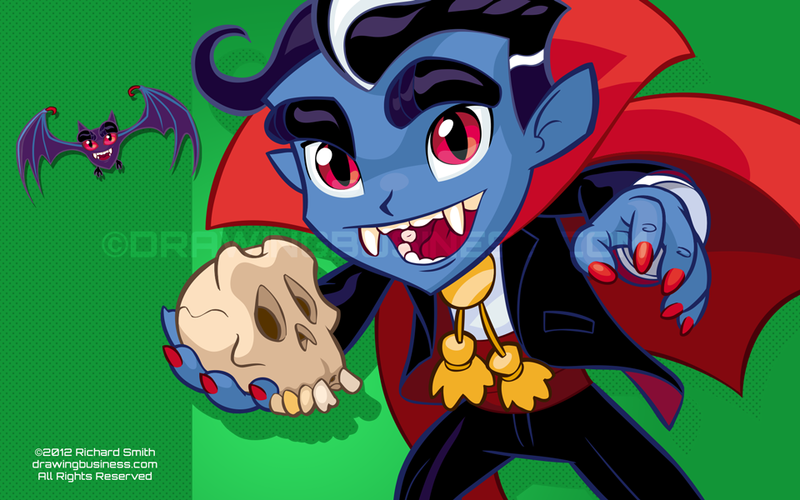 A young vampire called Drac, created for a mobile phone game by bitBull. Created for a texting mobile phone game by bitBull. 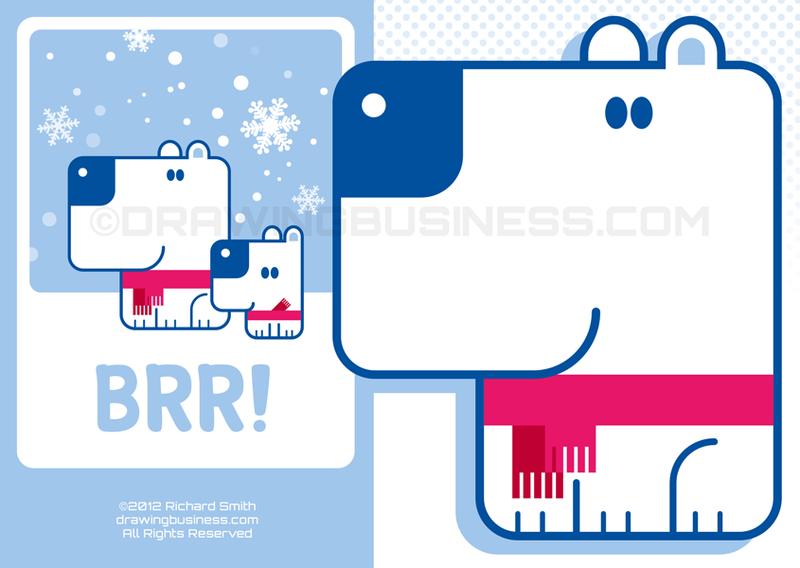 If you like these cute polar bears, why not visit my RedBubble shop and buy them on a lovely big poster or an awesome iPhone case? From a series of character illustrations for the now defunct Wild5 dating site, created by bitBull. Drawn, inked and shaded by me, coloured by Russ Cogman. 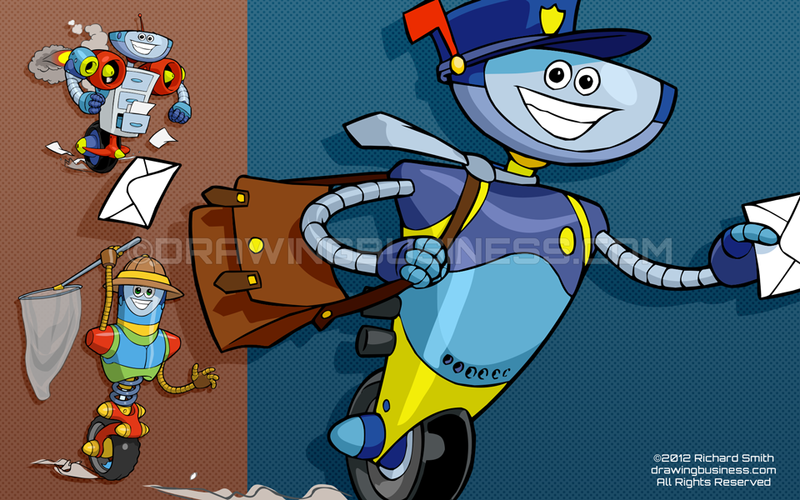 A series of friendly robots, designed to represent the software products created by the then newly established ExclamationSoft. They've changed their corporate image quite a lot since those early days. 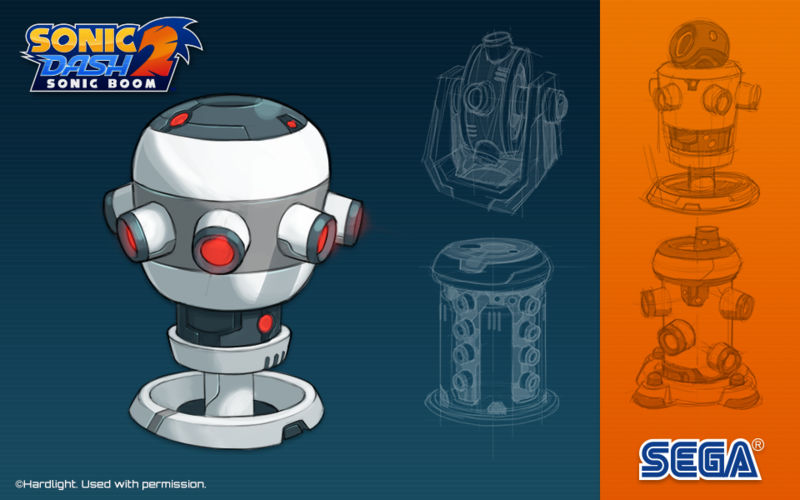 From a series of characters designed to represent different aspects of the Sega Dreamcast console, released in 1999. The idea was conceived by my oldest virtual friend, Dan Magaha. 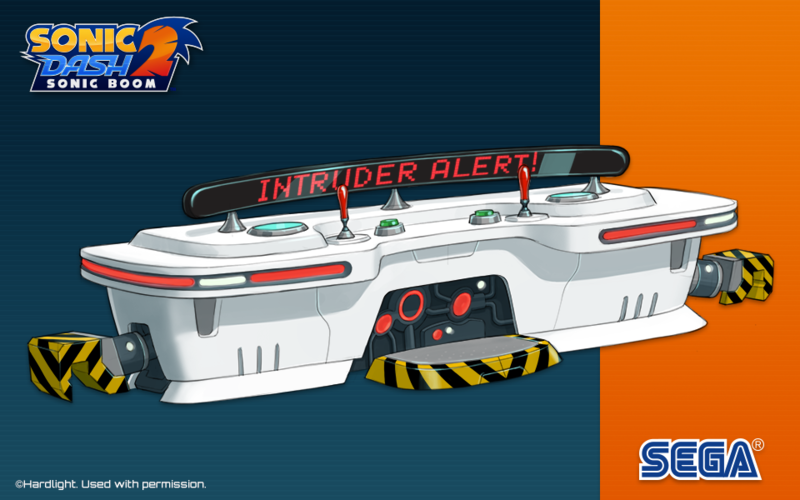 Design for a 3-lane jump obstacle for Sonic Dash 2: Sonic Boom, by Hardlight Studio. 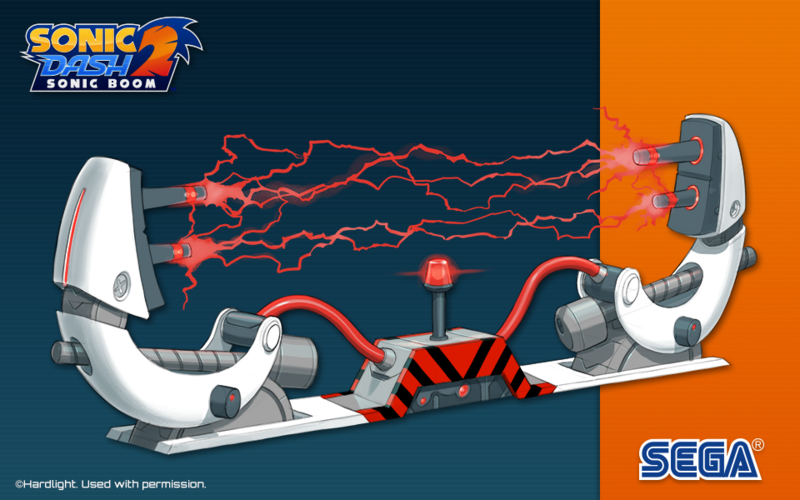 Variation on a design for a 3-lane jump obstacle for Sonic Dash 2: Sonic Boom, by Hardlight Studio. 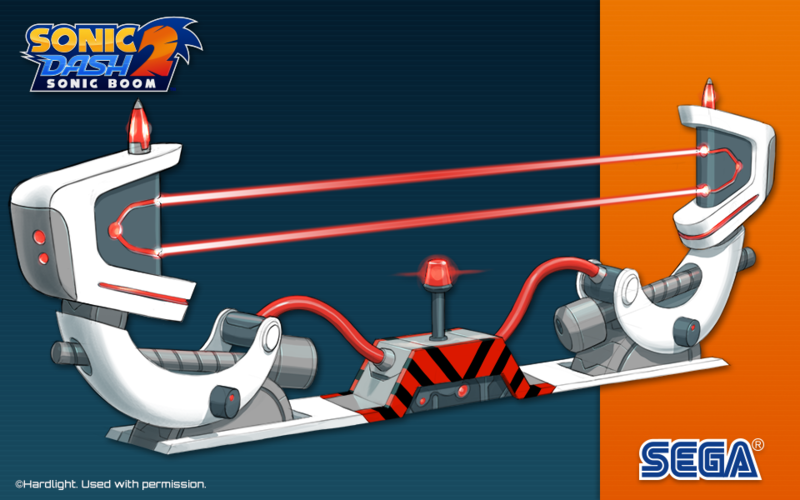 Concept design for a single-lane jump obstacle for Sonic Dash 2: Sonic Boom, by Hardlight Studio. 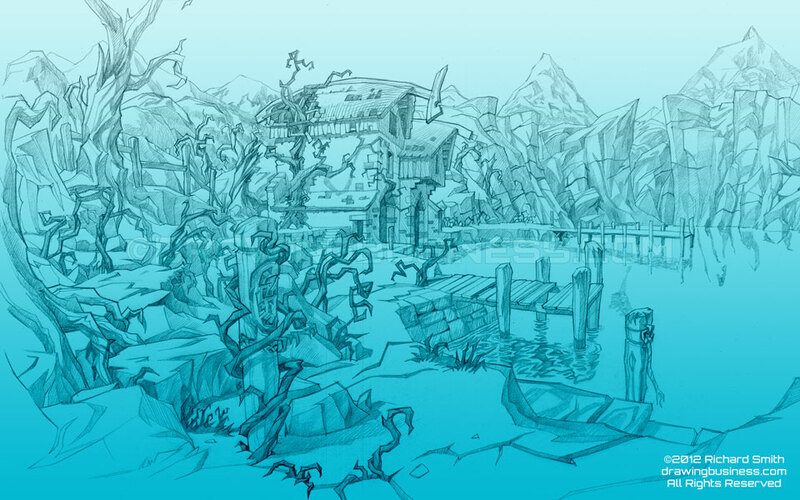 Concept design for a three-lane jump obstacle for Sonic Dash 2: Sonic Boom, by Hardlight Studio. 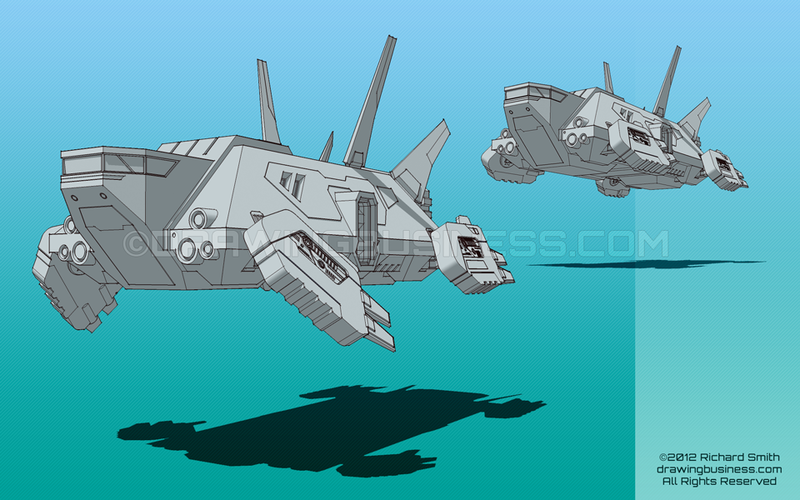 3D model of the spaceship I designed for the lead character in my FutureQuake comic strip. Created using Google Sketchup. Environment design for an NCsoft MMORPG (sadly cancelled). The design had to fit a very strict style guide. 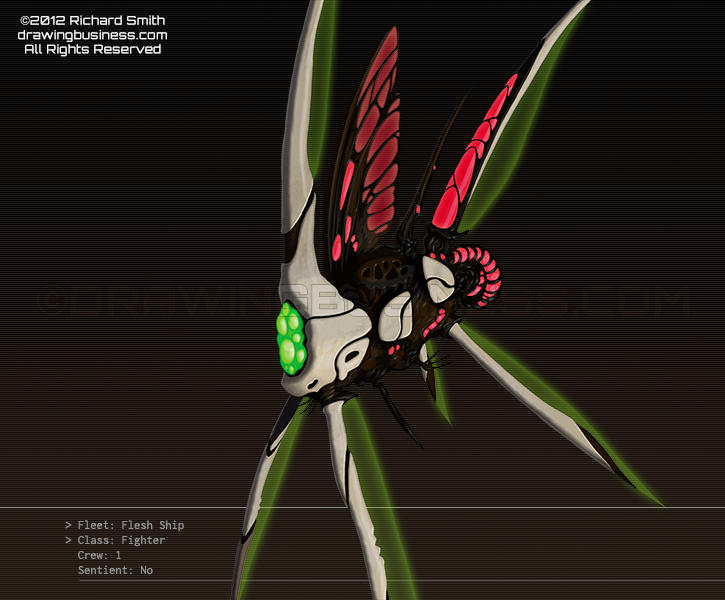 Building and prop designs for an NCsoft MMORPG (sadly cancelled). The design had to fit a very strict style guide. 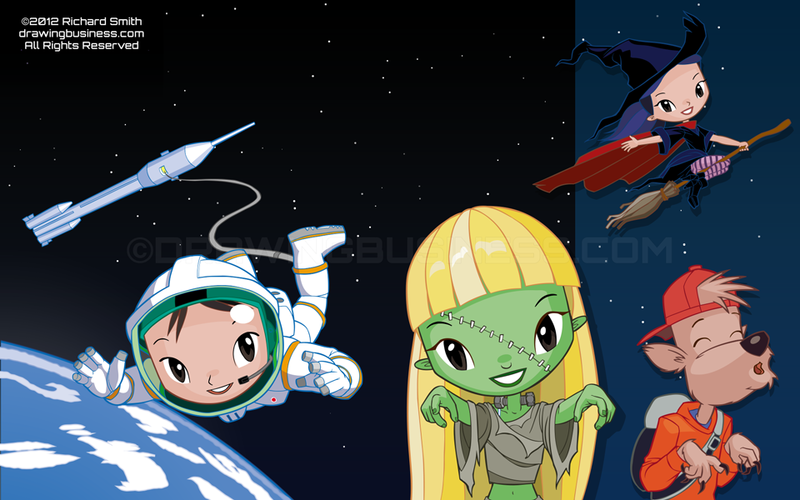 A selection of designs for a space trading MMO, currently under development by a small independent studio. 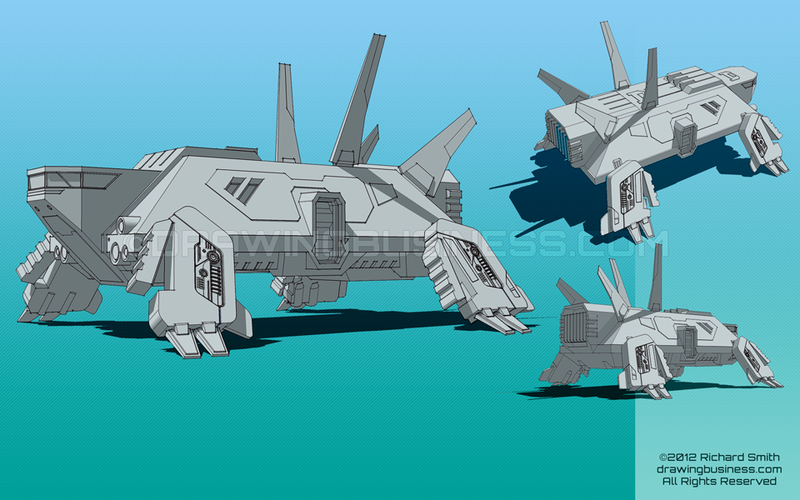 A concept for a "living ship", for a space trading MMO currently under development by a small independent studio. Something I originally designed for my own amusement, but ended up used in a illustration for a fashion model's website. Robot detail from an early painting of Akiko, a character I created to practice my comic book and figure drawing skills. 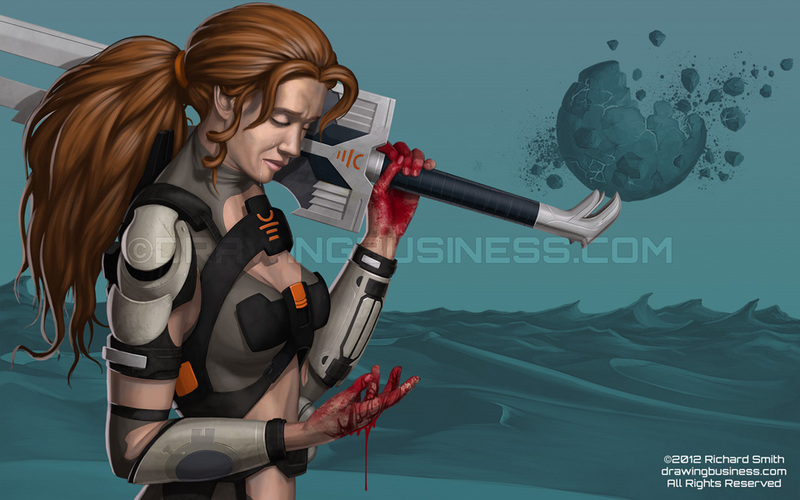 Here she's battling a mechanical foe. 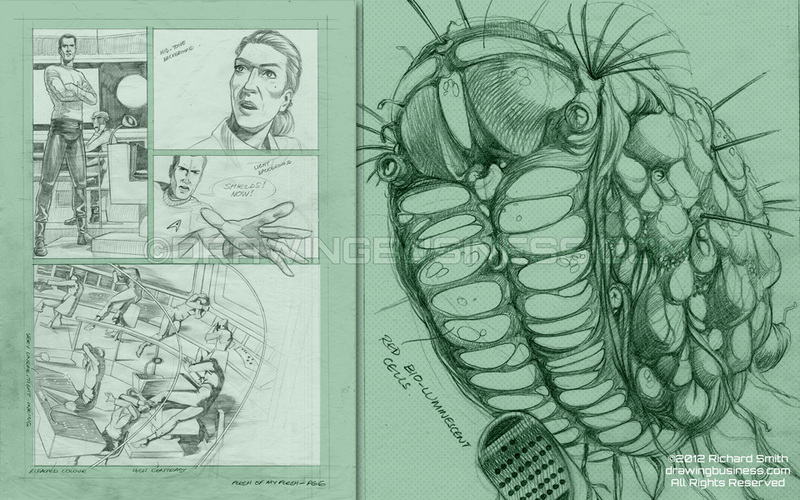 A work-in-progress design for a motorcycle dashboard display, purely for my own amusement. This is the display when cruising at autobahn speeds in Touring mode. A work-in-progress design for a motorcycle dashboard display. The gear change indicator becomes more noticeable as the engine revs get closer to the maximum in Touring mode. A work-in-progress design for a motorcycle dashboard display. When switched to Sport mode, the display focuses on revs, gear selection and speed. Other information shown in Touring mode is de-emphasised or removed. 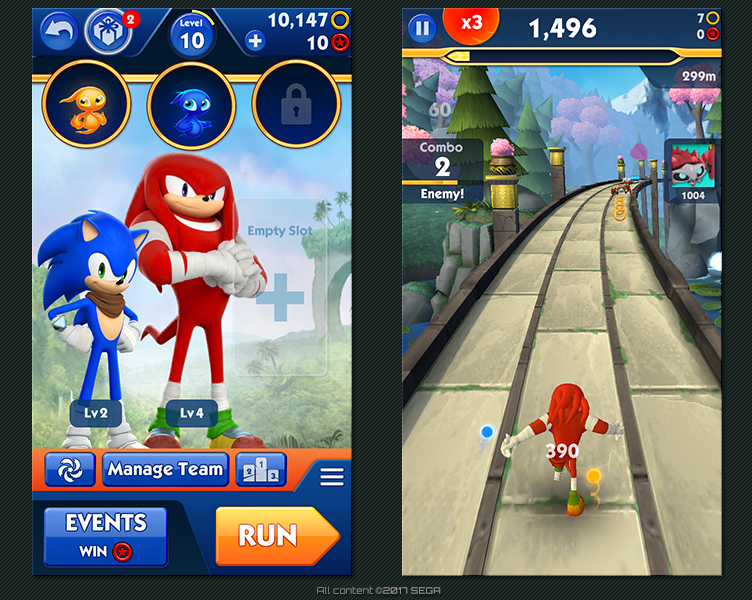 Main Menu and In-game HUD for Sonic Dash 2: Sonic Boom, by Hardlight Studio. Implemented in Unity 3D. 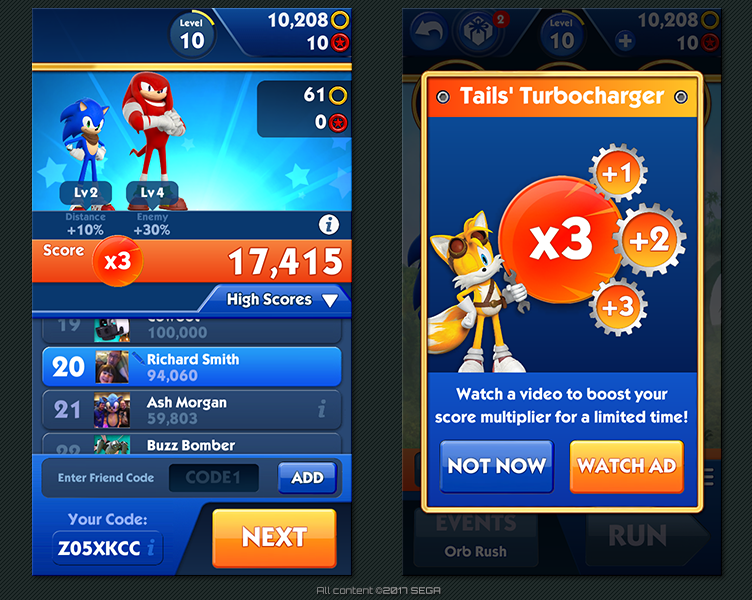 Results screen and Tails’ Turbo-charger dialog for Sonic Dash 2: Sonic Boom, by Hardlight Studio. Implemented in Unity 3D. 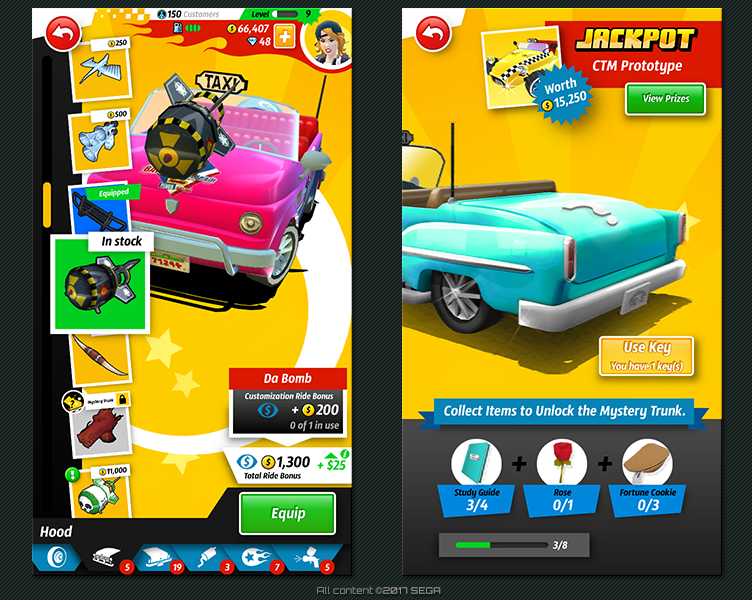 Main Menu and Showroom screens for Crazy Taxi™ City Rush, by Hardlight Studio. Implemented in Unity 3D, using NGUI. 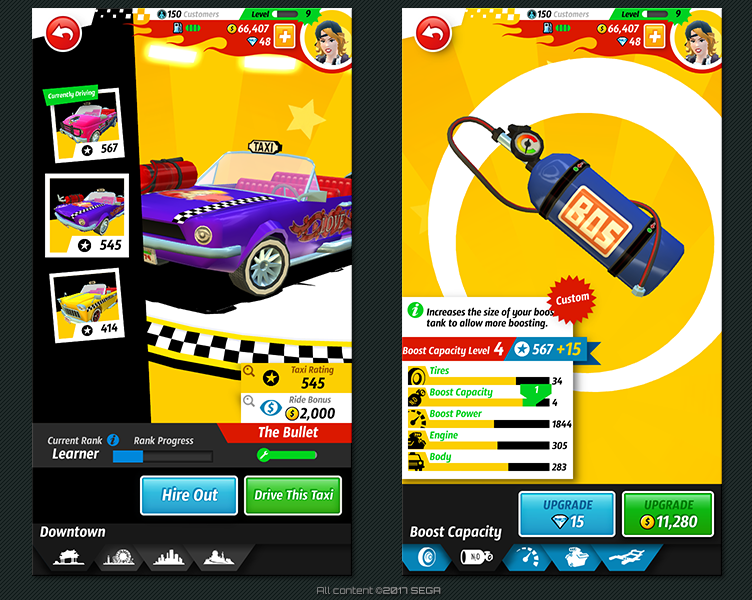 Garage and Upgrade screens for Crazy Taxi™ City Rush, by Hardlight Studio. Implemented in Unity 3D, using NGUI. 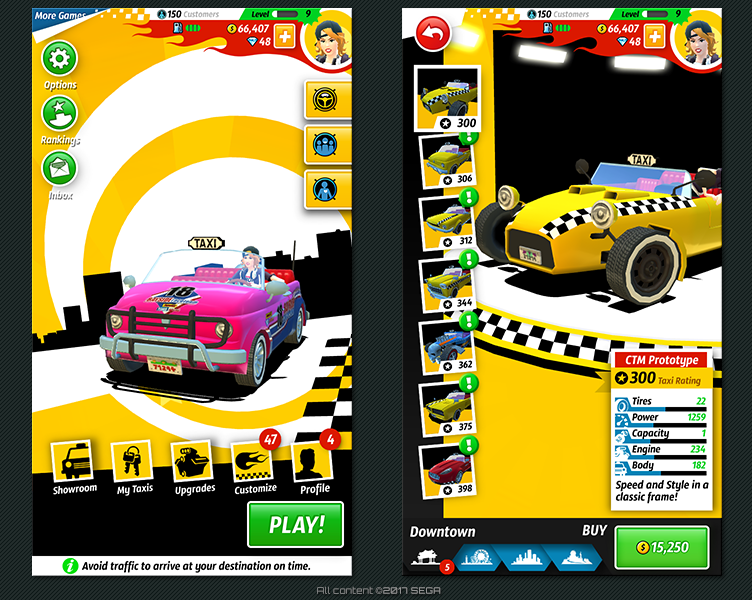 Taxi Customisation and Mystery Trunk screens for Crazy Taxi: City Rush, by Hardlight Studio. Implemented in Unity 3D, using NGUI. 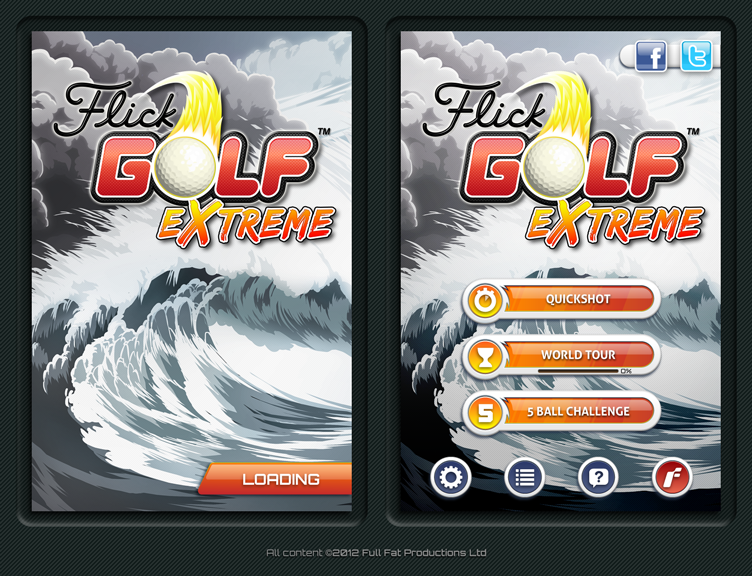 Loading and mode select screen for Flick Golf Extreme, by Full Fat Productions Ltd. The awesome background painting is by Heather Sheppard. 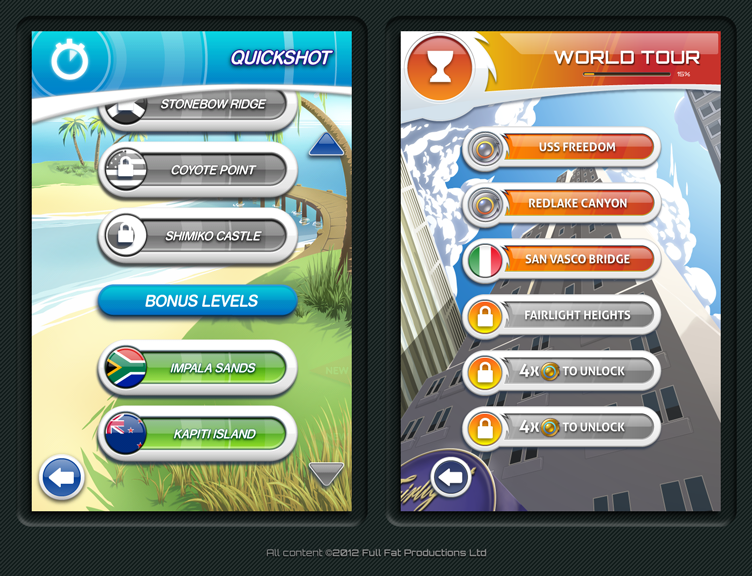 Level select screens for Quickshot and World Tour modes in Flick Golf Extreme, by Full Fat Productions Ltd. 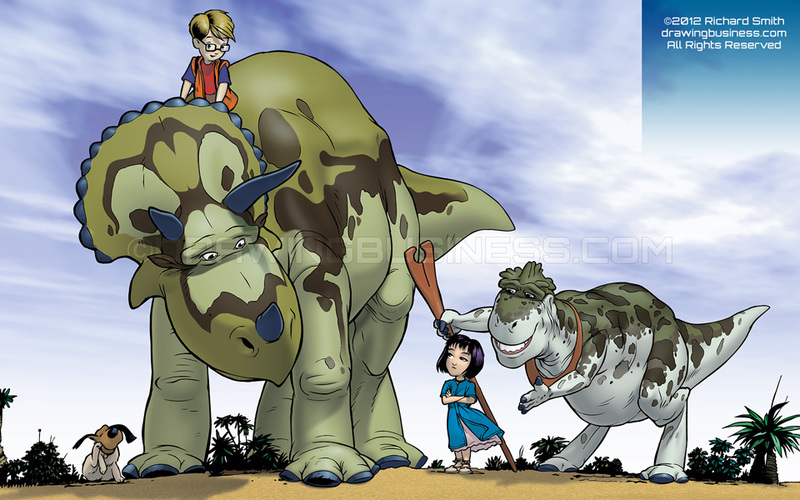 The awesome background paintings are by Heather Sheppard. 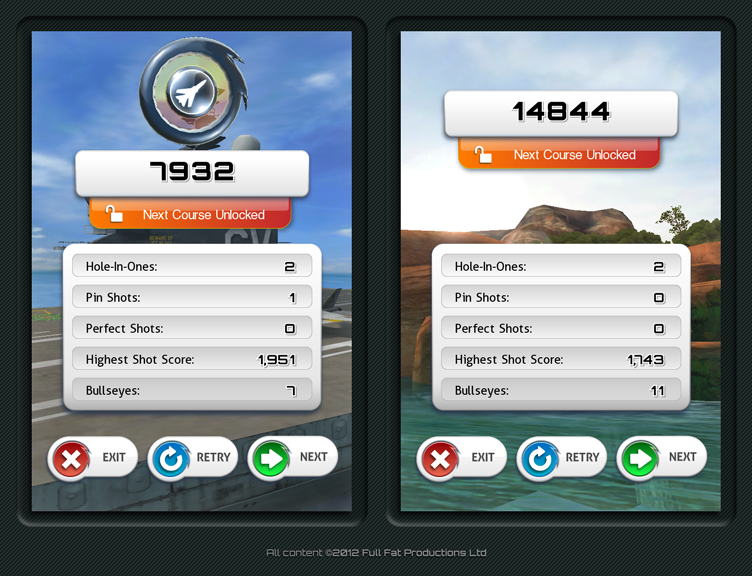 Examples of shot results in Flick Golf Extreme, by Full Fat Productions Ltd.
Start end end screens of 5 Ball Mode in Flick Golf Extreme, by Full Fat Productions Ltd. 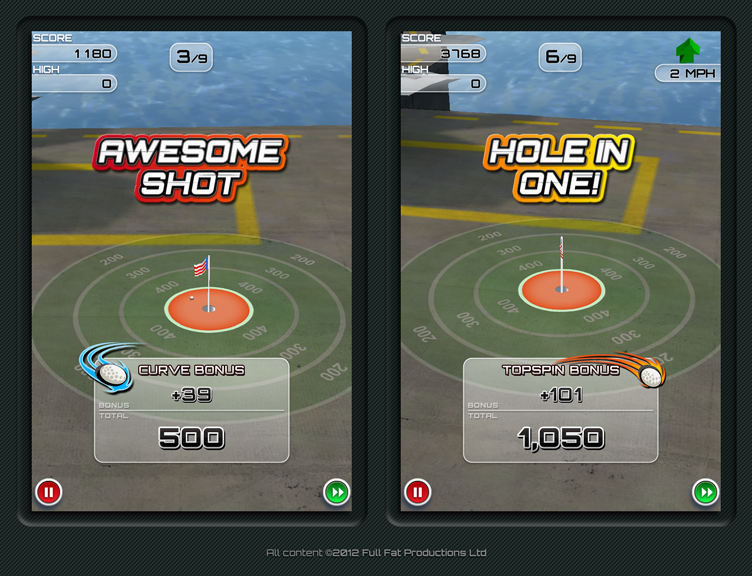 Examples of round end screens in Flick Golf Extreme, by Full Fat Productions Ltd. 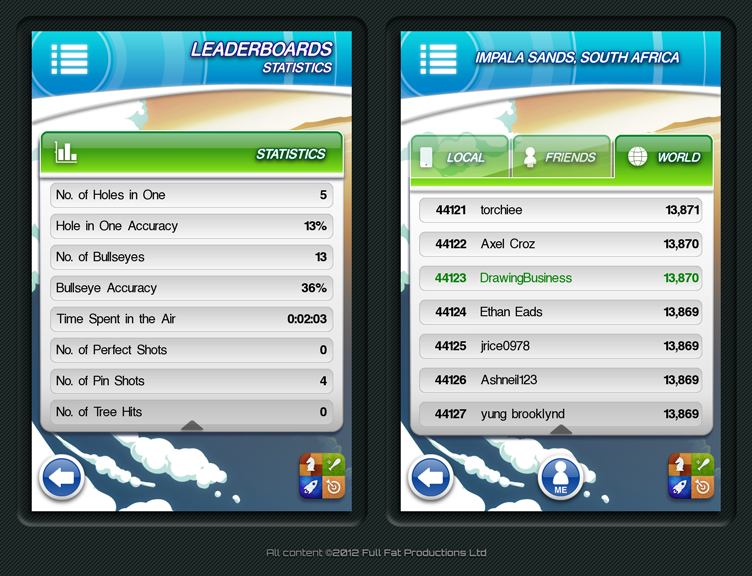 Examples of statistics and achievements screens in Flick Golf Extreme, by Full Fat Productions Ltd. The awesome background painting is by Heather Sheppard. 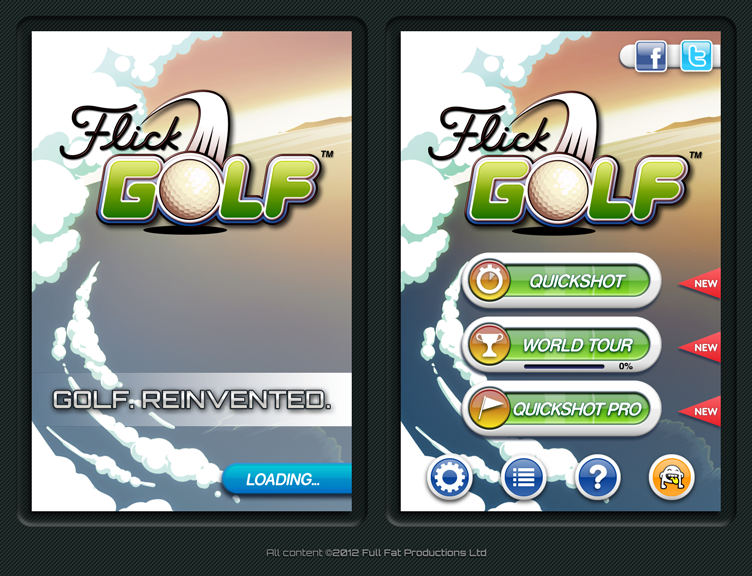 The initial loading screen and mode select screen from Flick Golf, a hugely successful title by Full Fat Productions Ltd. 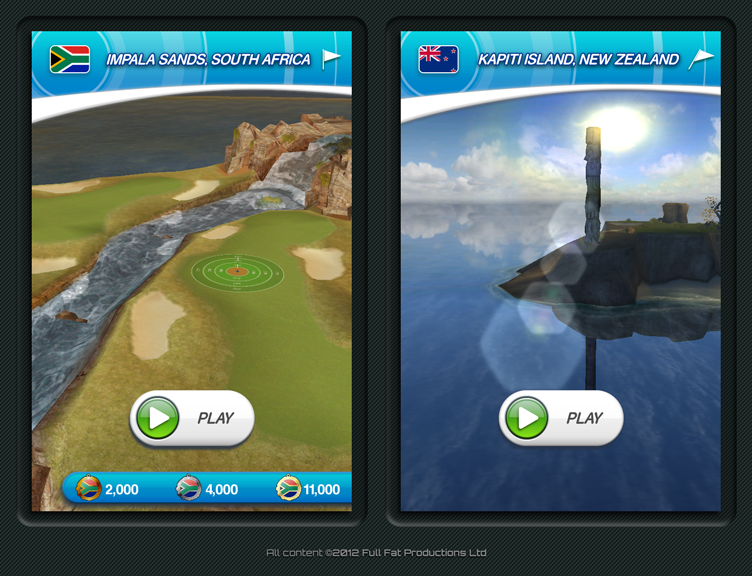 The level select screens from Flick Golf, a hugely successful title by Full Fat Productions Ltd. The awesome background painting is by Heather Sheppard. 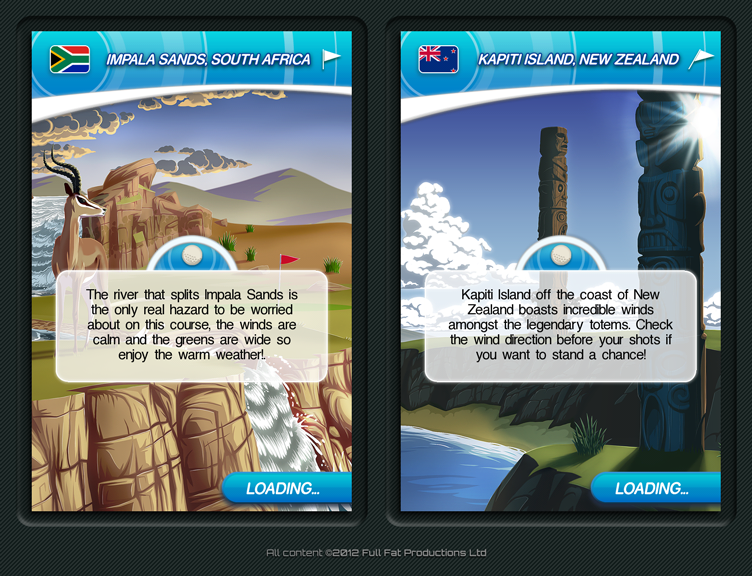 Example loading screens from Flick Golf, a hugely successful title by Full Fat Productions Ltd. I created these two awesome background paintings myself. 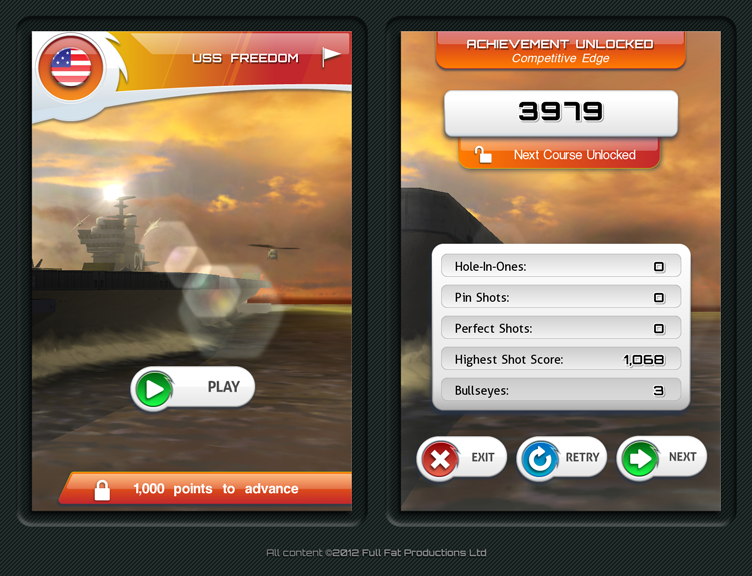 Example fly-by screens from Flick Golf, a hugely successful title by Full Fat Productions Ltd. 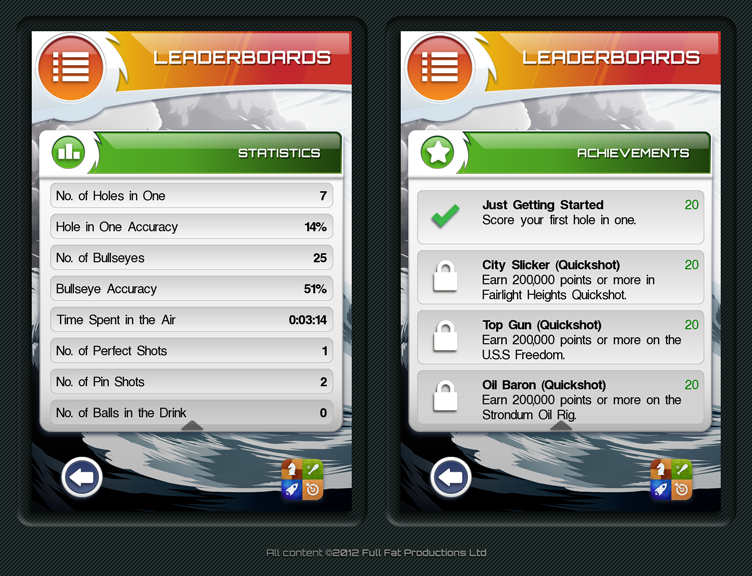 Example of the in-game HUD from Flick Golf, a hugely successful title by Full Fat Productions Ltd.
Statistics and leaderboards screens from Flick Golf, a hugely successful title by Full Fat Productions Ltd.
A caricature of fashion model Jordan Paris (she used to date Russell Brand, y'know), used on her personal website (created by Reality Dreamship). Sadly the site is no longer available. 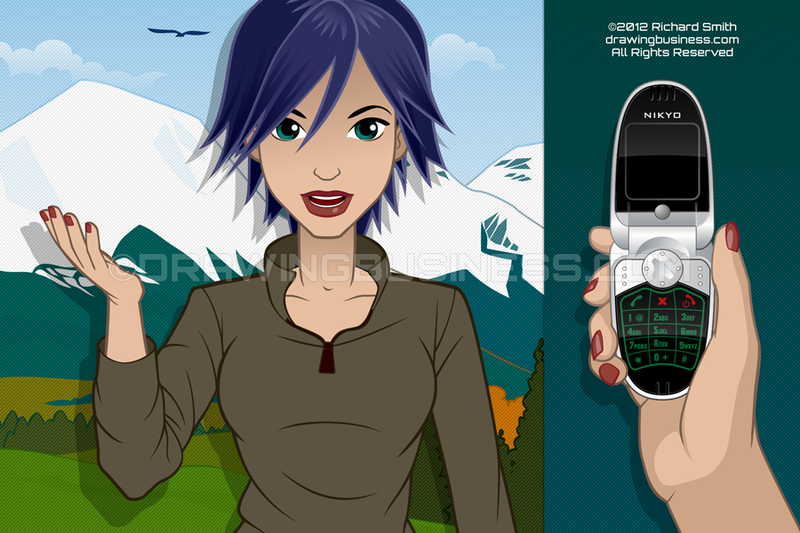 Pod Girl was used in a Flash-based animated character that formed part of the identity for the Reality Dreamship graphic design portal. 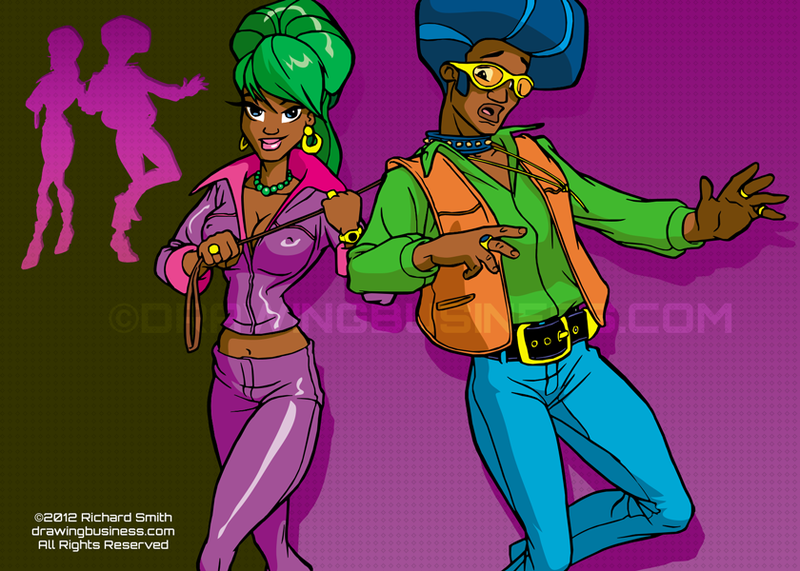 Characters and icons that formed part of the original incarnation of the Flirtomatic mobile chatting and flirting site, created by Fjord. Part of the artwork that formed a Flash-based technology presentation by Fjord. 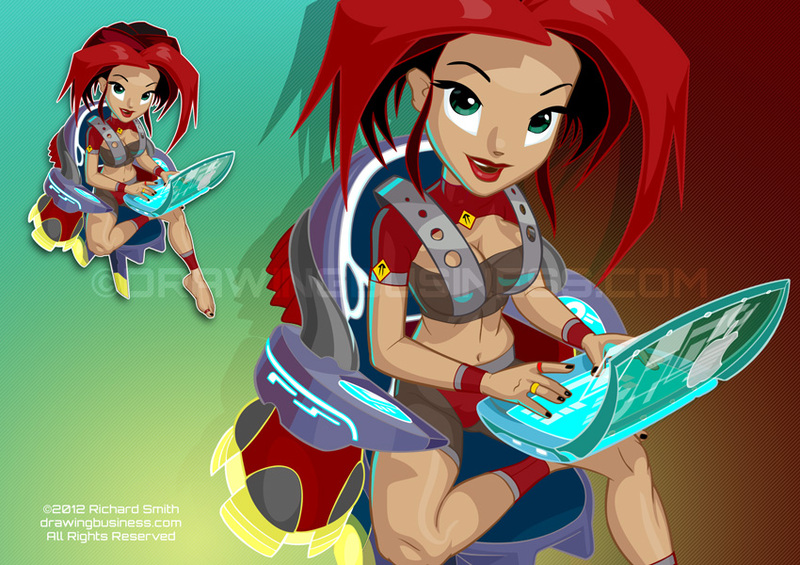 The main character, and an element of an animation in a Flash-based technology presentation by Fjord. Elements used in a Flash-based presentation on potential PDA usage, by Fjord. 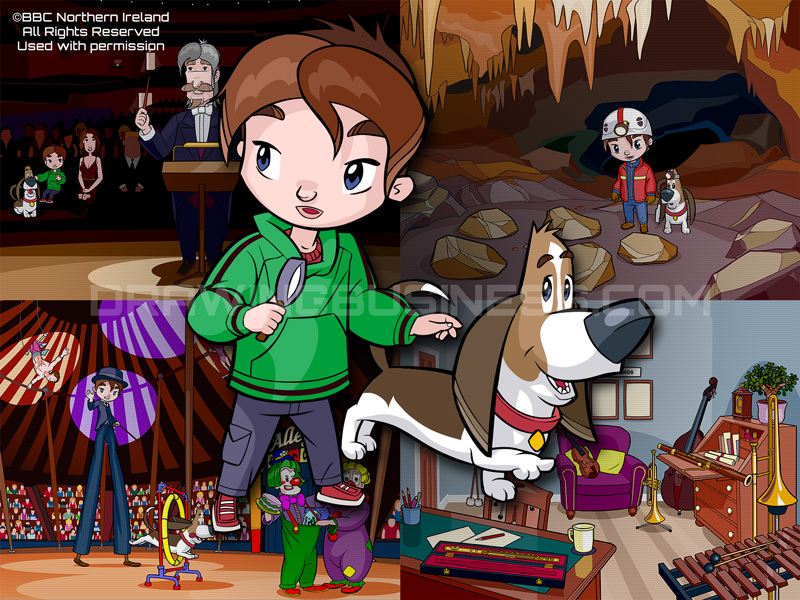 Characters and scenes that formed part of an award winning BBC Northern Ireland web site investigating music and sound. 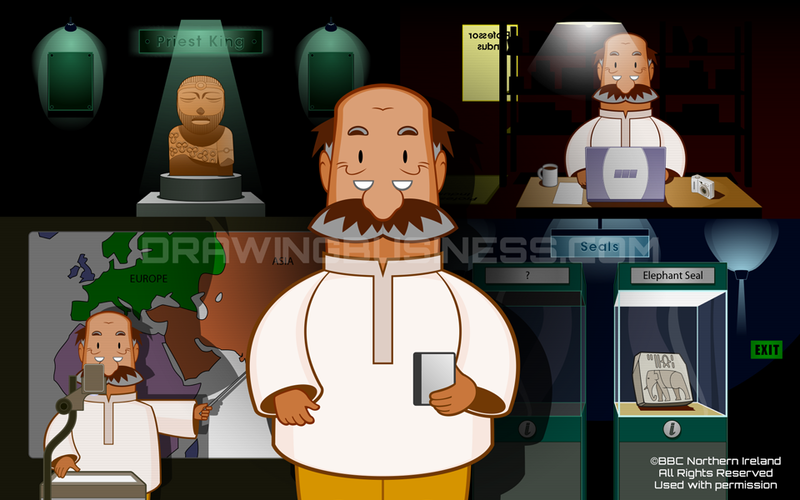 Artwork used in a BBC Interactive site exploring the ancient civilisation of the Indus Valley. Sadly the site is no longer available. 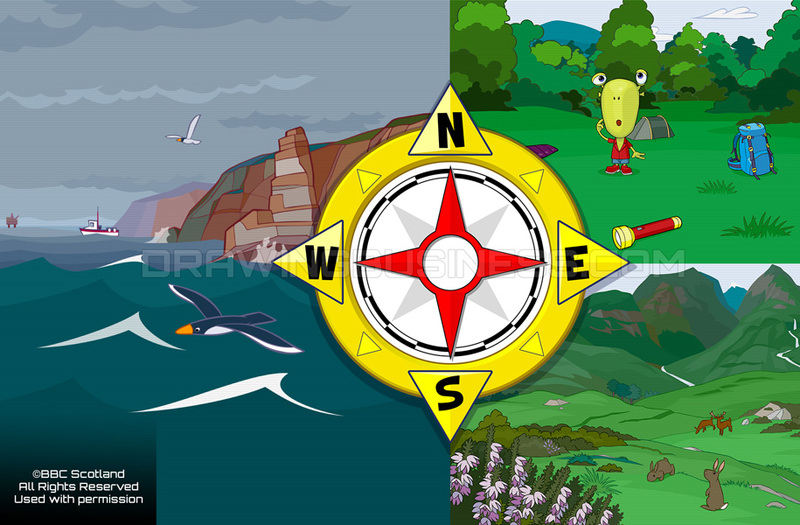 Artwork for a BBC Interactive website exploring the Scottish Southern Uplands (requires Flash). 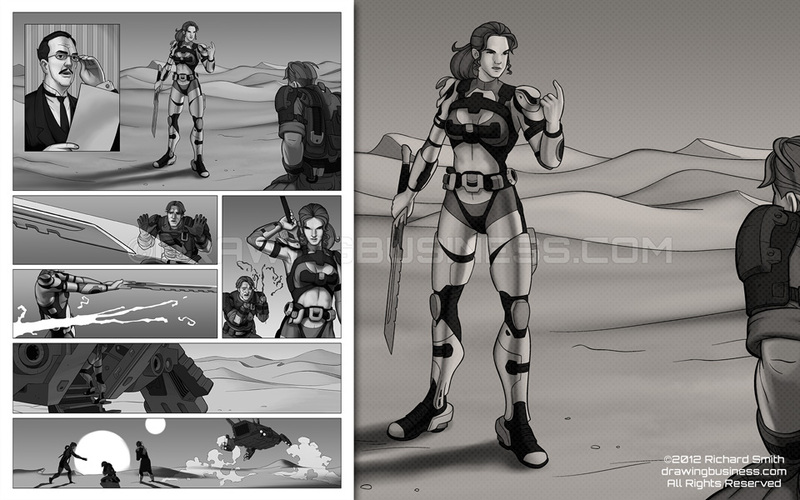 Many of the elements in these images were created to enable them to be animated. 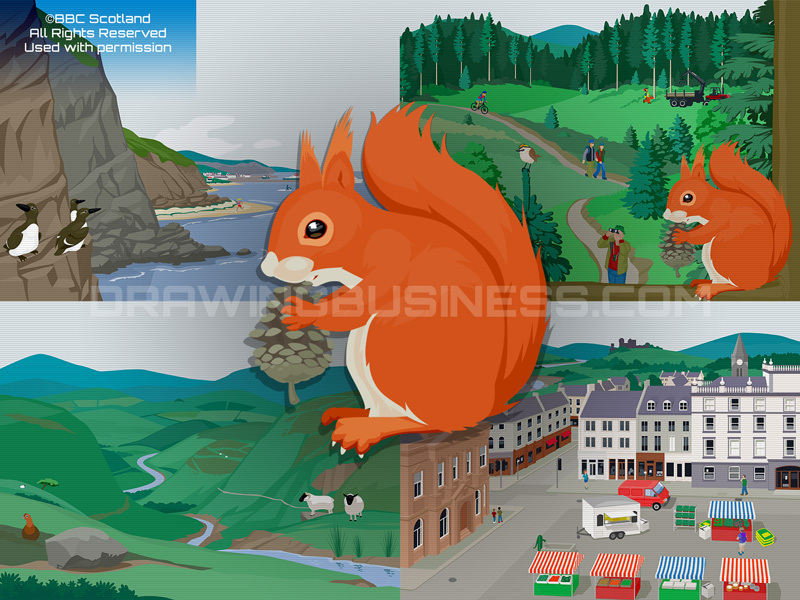 Artwork for a BBC Interactive website exploring the Scottish Highlands and Islands (requires Flash). 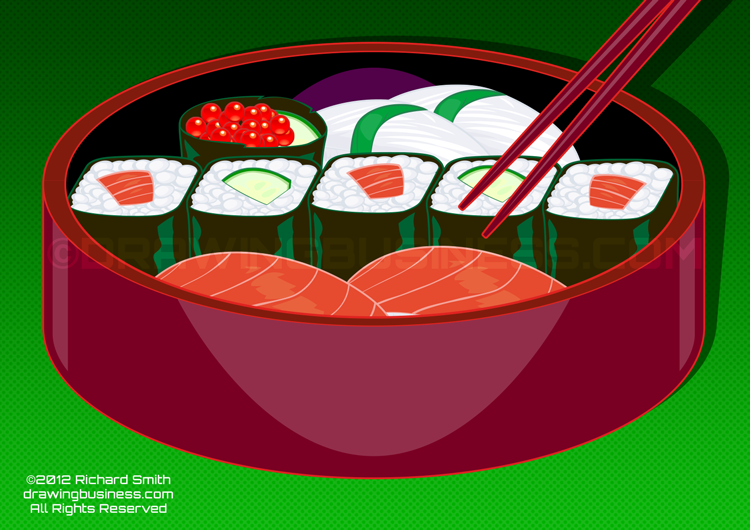 Artwork used in a BBC See You See Me website about protecting the environment (requires Flash). 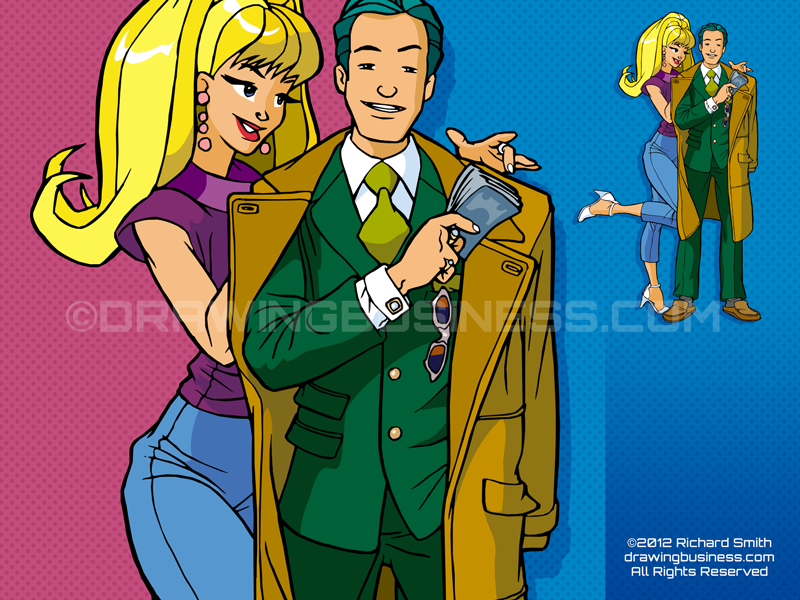 Cover artwork from two issues of Typhoon Club, a Hong Kong dual-language magazine. Cover artwork for a Volkswagen Camper Van magazine. A character study for a children's book idea that my old friend Russ and I have been kicking around since 1994. A scene-setting illustration for a children's book idea that my old friend Russ and I have been kicking around since 1994. From a scan of a rather raunchy painting of Akiko, a character I created to practice my figure drawing skills. Acrylic on Bristol board. 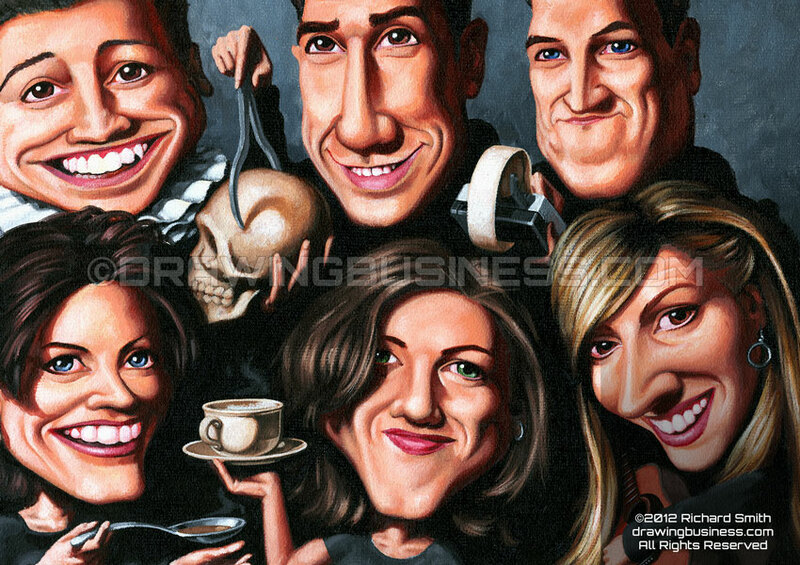 I was a big fan of NBC's Friends in 1996, when I painted this caricature in acrylic on textured art board. That stuff is hard to scan. 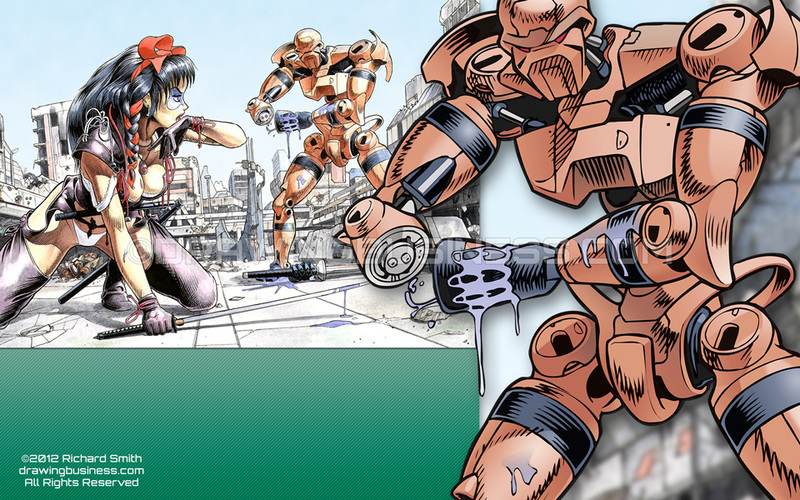 Cover artwork for issue 17 of FutureQuake. Artwork for page 1 of Regrets, Rules and Jellied Eels, written by Neil Merrett, which appeared in issue 17 of FutureQuake, the finest free press comic book you'll ever have the pleasure of reading. Artwork for page 2 of Regrets, Rules and Jellied Eels, written by Neil Merrett, which appeared in issue 17 of FutureQuake, the finest free press comic book you'll ever have the pleasure of reading. Artwork for page 3 of Regrets, Rules and Jellied Eels, written by Neil Merrett, which appeared in issue 17 of FutureQuake, the finest free press comic book you'll ever have the pleasure of reading. 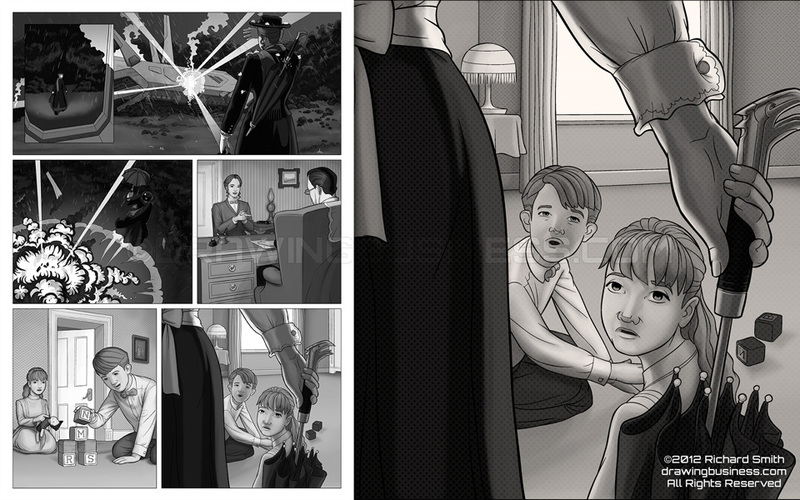 Artwork for page 4 of Regrets, Rules and Jellied Eels, written by Neil Merrett, which appeared in issue 17 of FutureQuake, the finest free press comic book you'll ever have the pleasure of reading. 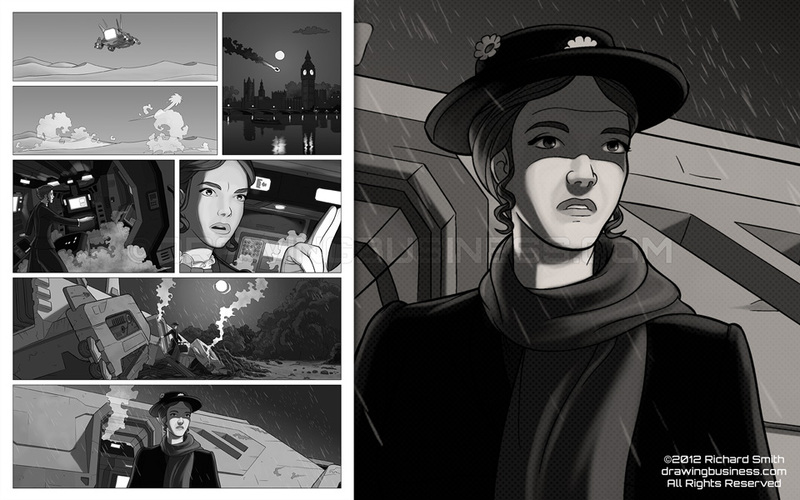 Artwork for page 5 of Regrets, Rules and Jellied Eels, written by Neil Merrett, which appeared in issue 17 of FutureQuake, the finest free press comic book you'll ever have the pleasure of reading. 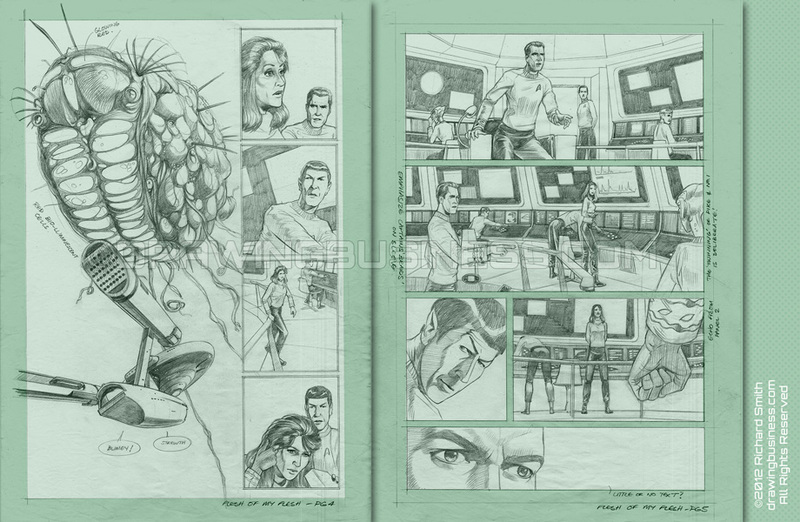 I produced this short series of pages from an original script sent to me by Dan Abnett, one of the writers of the Early Voyages series for Marvel Comics. A sample page from a spec script sent to me in 1996 by John Tomlinson; at the time John was the editor of the Judge Dredd Megazine. 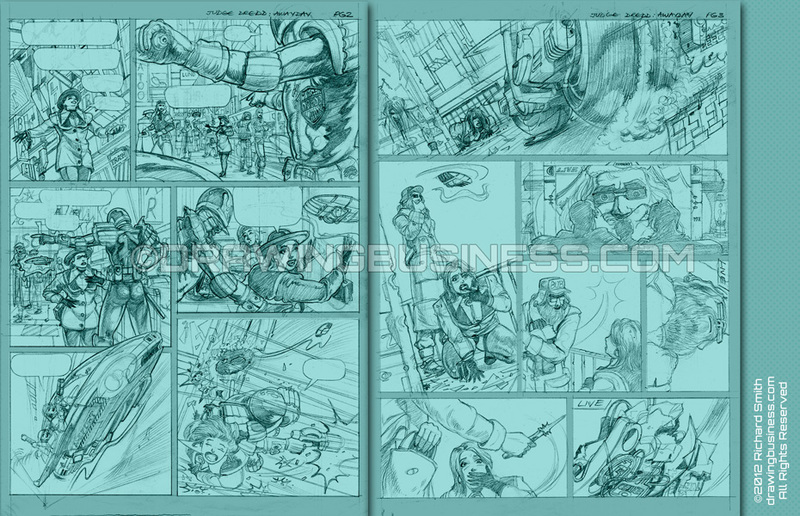 A sample page from a spec script sent to me in 1996 by John Tomlinson; at the time John was the editor of the Judge Dredd Megazine. 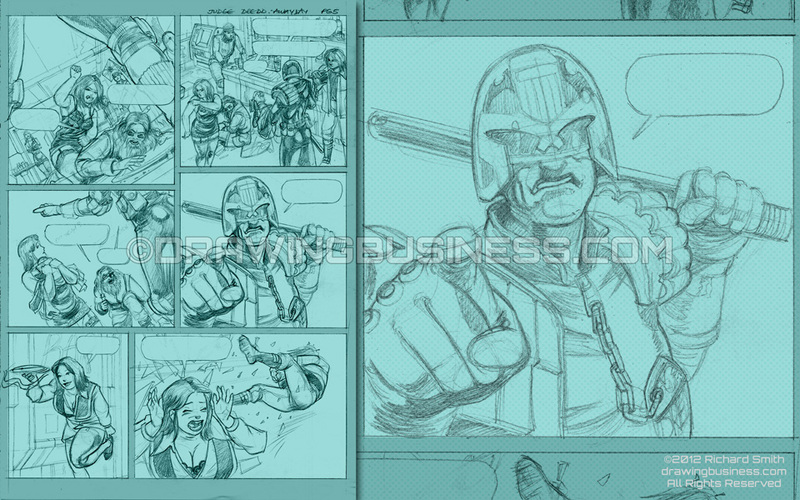 The inset sketch is my favourite of all the drawings I've done of Dredd. Akiko is a character I designed to practice my figure drawing and comic book style. She's very fond of her sword. 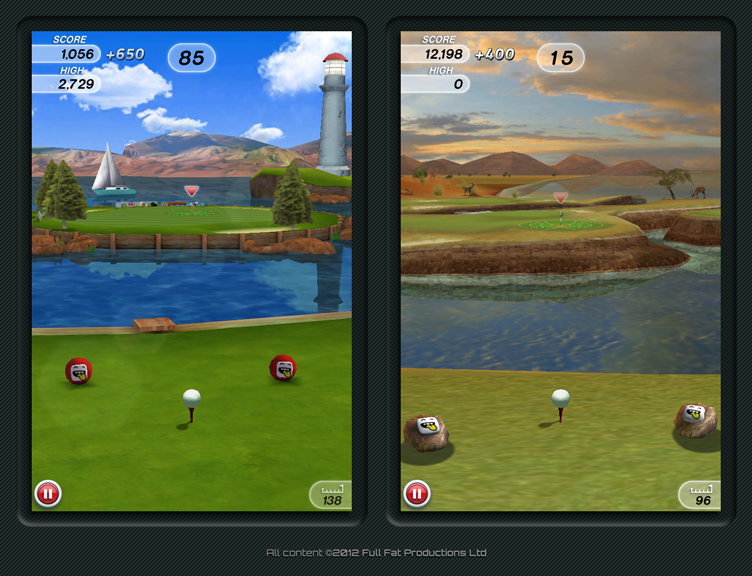 I am currently working as Lead UI/UX Designer at the BAFTA Award-winning Playdemic, creators of the amazingly successful Golf Clash. I am responsible for creating and maintaining the overall User Interface and User Experience of an in-development multiplayer sandbox mobile game for a well known international IP. 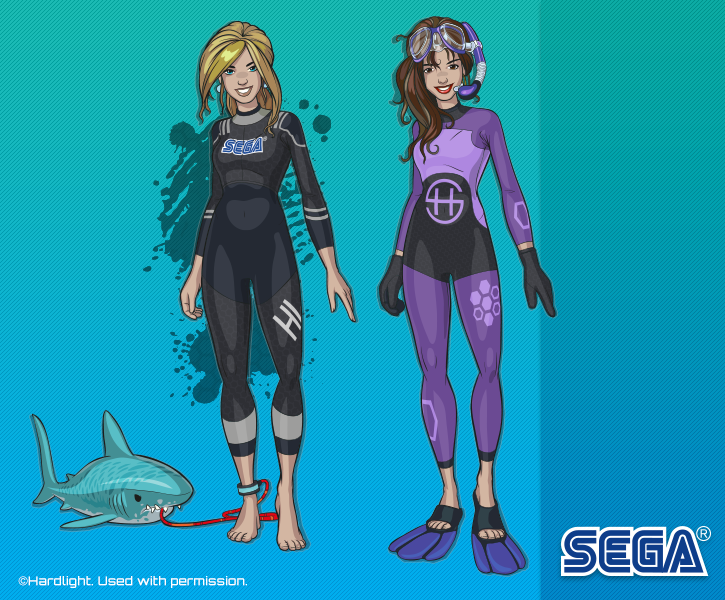 Prior to joining Playdemic in March 2018, I worked for several years as the Senior User Interface Artist at Hardlight, SEGA’s third UK based studio. 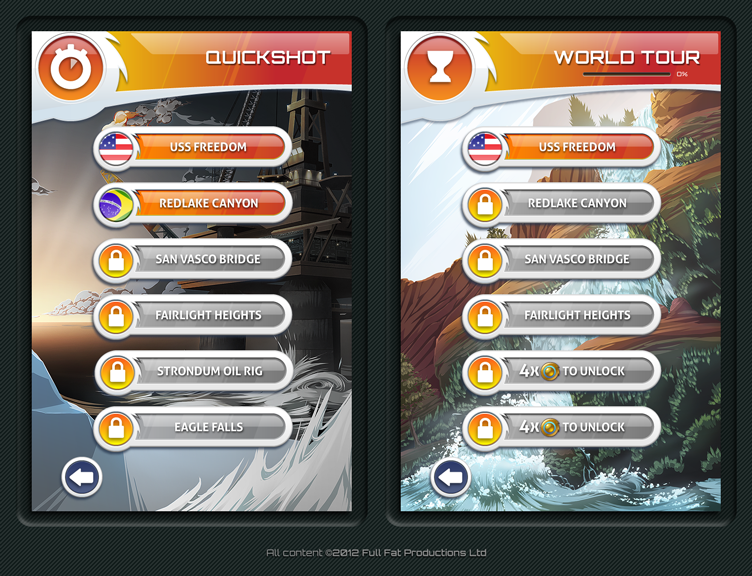 Hardlight is focused exclusively on creating high quality, innovative game experiences for mobile handheld platforms. 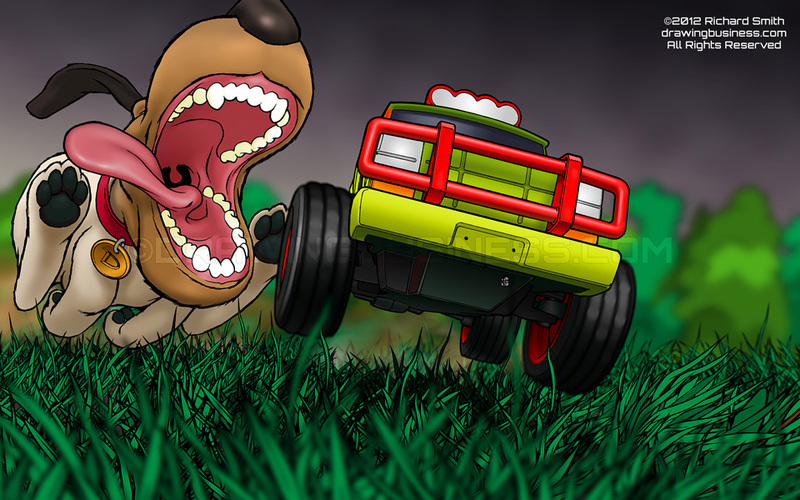 I produced user interface design, concept art, pixel art, and animation for iOS, Android and other mobile platforms. Before joining Hardlight in October 2012, I worked for more than 6 years at Full Fat, a small independent studio making games for mobile devices and consoles. Prior to joining Full Fat in 2006, I worked for 5 years as a freelance illustrator, for a range of clientele including the BBC, Scholastic, Dorling Kindersley and leading independent new media companies like Fjord. 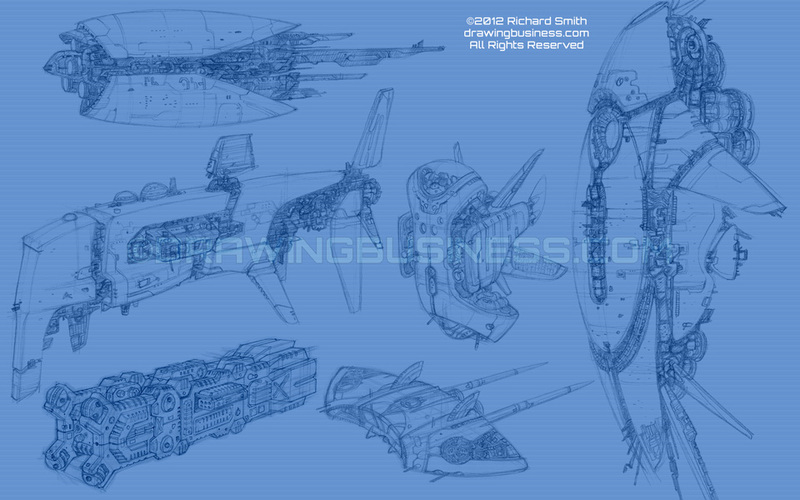 I graduated from Coventry (Lanchester) Polytechnic in 1990 with a BA (Hons) Degree in Industrial/Transportation Design. 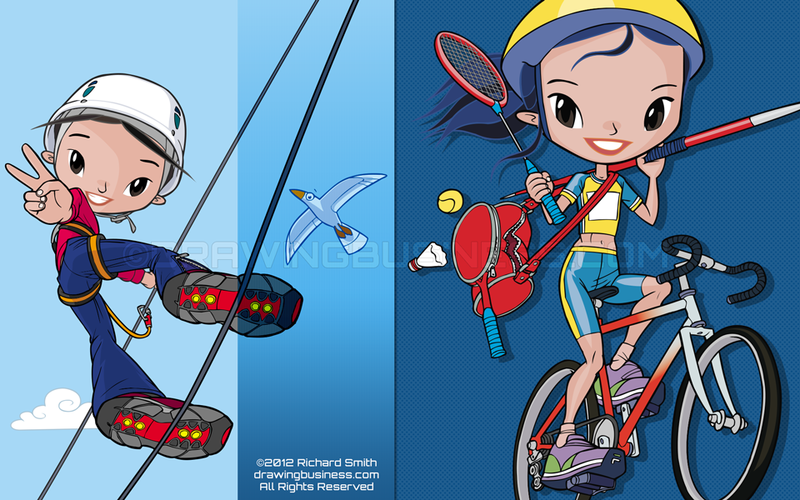 I am a skilled, adaptable illustrator, artist and designer, with a diverse background in industrial design, technical illustration, fine art and web design. 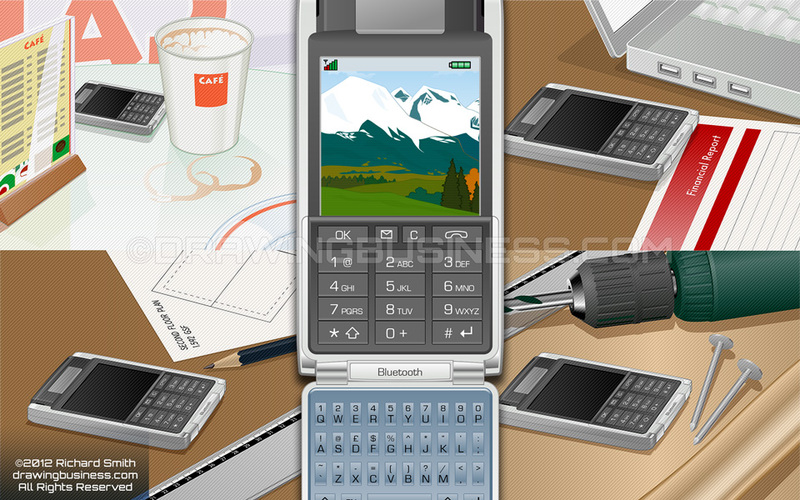 I specialise in User Interface (UI) and User Experience (UX) design. 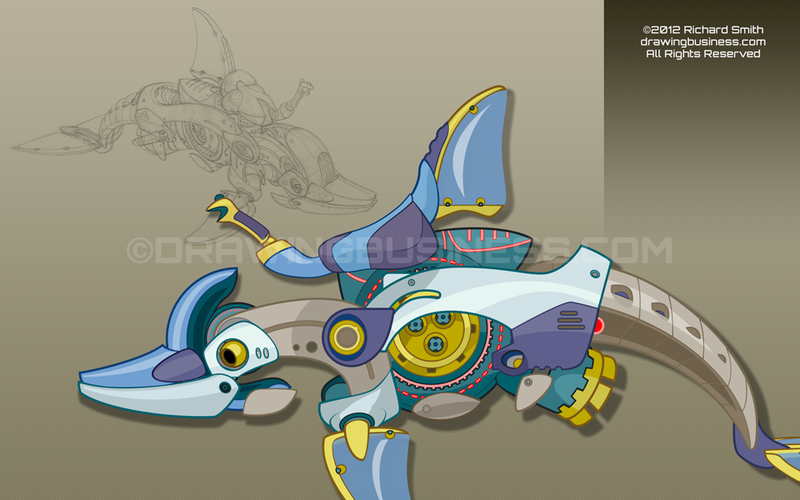 I am also an experienced concept and 2D artist, with strong skills in character design and the creation of convincing mechanical and industrial design. 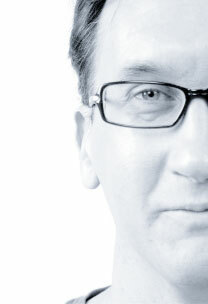 I have decades of experience in traditional and digital media, and have good communication and team working skills. I am inventive, enthusiastic, mature, experienced, forthright and reliable. 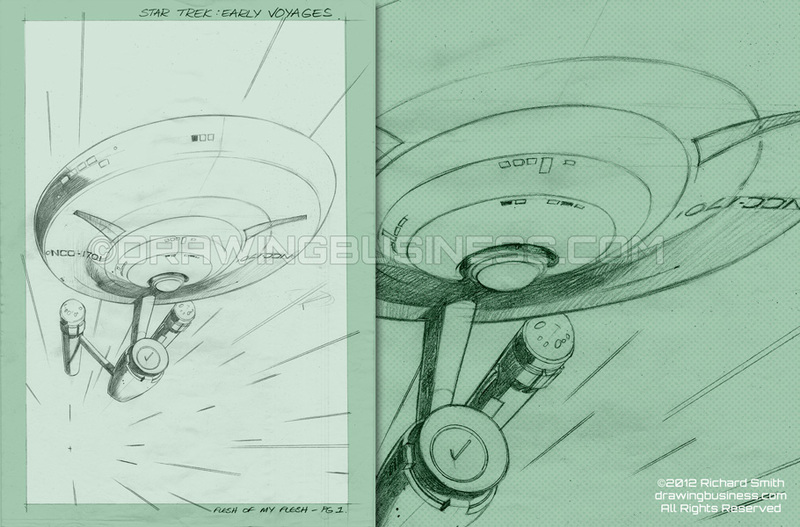 I've known Richard virtually for over a decade and have worked with him on numerous occasions on various freelance art projects, and I never cease to be amazed by his artistic range or the seeming ease with which he can quickly sketch something that instantly captures what I'm trying to describe. 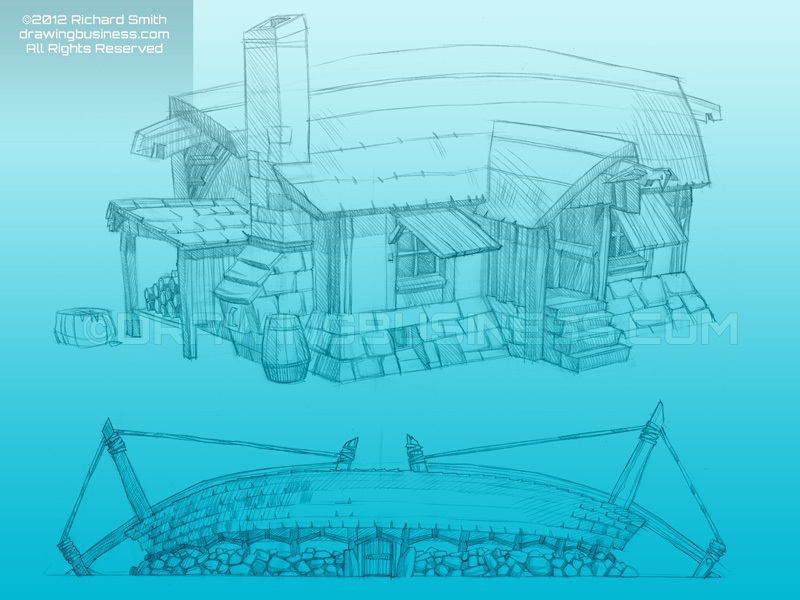 While he has won praise and fans with the cheery, colorful style he often uses for his games work, I have had the pleasure of viewing some of the superbly detailed line work he has done in the past for technical illustrations, and it is just as impressive. 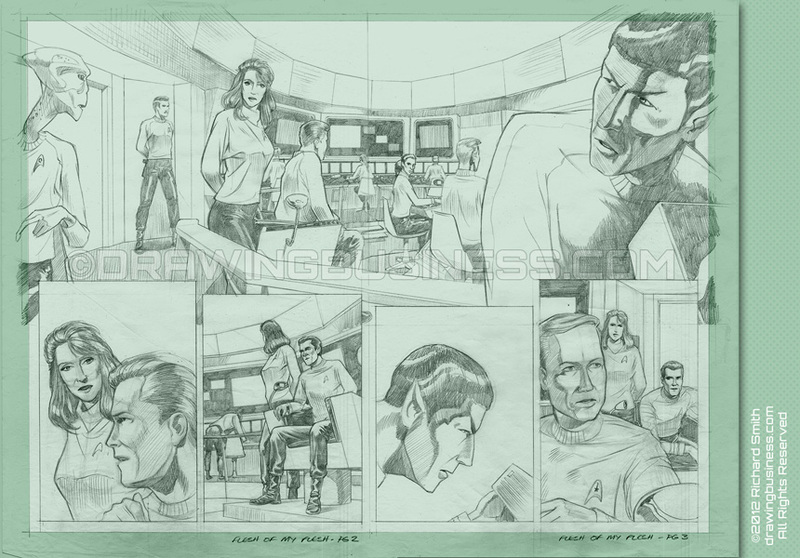 [Richard] is an outstanding illustrative artist, and a phenomenal technical artist - I've had the honour of knowing a large number of excellent artists over the years, and [he] effortlessly stands out from the crowd. 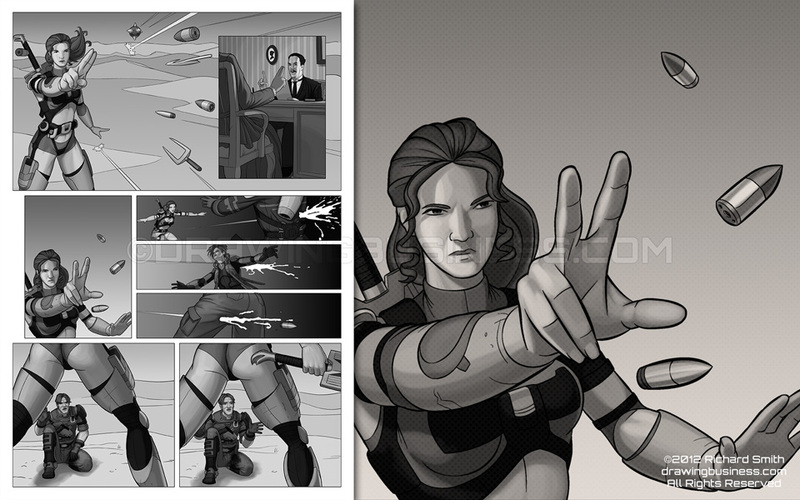 He privileged me with some superb concept work for a project of mine, and if I could hire him myself I wouldn't hesitate. What is 4 + 19 What's this?Answer this simple arithmetic question to prove that you're a real person.